Marijuana is the most regularly used illicit drug in the United State, the National Institute on Drug Abuse (NIDA) publishes. In 2016, approximately 44 percent of all Americans aged 12 and older had used marijuana at least once, NIDA further explains. In Massachusetts, the Behavioral Health Barometer: Massachusetts, 2015 reports that 6.4 percent of adolescents between the ages of 12 and 17 started using marijuana for the first time in the past year (2010-2014). Eight out of 10 youths that age saw no great risk for smoking marijuana once a month; the 79.9 percent of Massachusetts youths perceiving no great risk in once-a-month marijuana use was higher than the national average of 76.5 of youths the same age for 2013 and 2014. In 2014, marijuana was cited as the primary drug of abuse for 4 percent of all treatment admissions to programs funded by the Massachusetts Department of Public Health’s (DPH) Bureau of Substance Addictive Services (BSAS), behind only alcohol and opioids, including heroin. Nearly one-quarter of all treatment admissions reported past-year marijuana use. Marijuana is considered an illicit drug, as it is still illegal at the federal level. Rates of illicit drug dependence for Massachusetts residents for 2013 and 2014 were 3 percent, slightly higher than the national average of 2.6 percent, per the Behavioral Health Barometer. Marijuana is now legal at the state level, both for medical and recreational purposes with certain parameters. Marijuana is a potentially addictive substance. Treatment for marijuana abuse is managed through a range of treatment services in Massachusetts. The Medical Use of Marijuana Program was established in 2012 in Massachusetts, which allows for eligible residents to obtain marijuana for medical use through a special license or prescription. According to Mass.gov, as of the end of January 2018, there were 22 registered marijuana dispensaries (RMD) in the state of Massachusetts serving almost 50,000 residents. Marijuana has both sedative and hypnotic properties. It may be used to manage anxiety, increase appetite, and decrease pain for cancer or terminally ill patients. Medicinal marijuana use is currently legal in 29 states, and marijuana is legal for recreational use in nine states, Business Insider publishes. In December 2016, marijuana was approved for recreational use for individuals aged 21 and older in Massachusetts, the Boston Globe reports. Many states, including Massachusetts, have decriminalized marijuana, lowering penalties for marijuana possession offenses, even before it was technically legal. In 2008, many of the harsh drug laws surrounding marijuana possession offenses were dropped down to civil offenses, Boston.com publishes. Instead of arrest and criminal charges, people caught with less than an ounce of marijuana were faced with civil fines. Residents aged 21 and older may possess up to 10 ounces of marijuana in their homes. Residents aged 21 and older may possess up to one ounce of marijuana in public, five grams of which may be a marijuana concentrate. Residents aged 21 and older may grow up to six plants each (not to exceed 12 plants in a household) in a secure or locked location within the primary residence and not visible from a public space (not visible without using visual aids, such as binoculars, aircrafts, etc.). Marijuana cannot be consumed in a public place. Open containers of marijuana are not allowed in a vehicle; open containers must be secured in the trunk or locked glove box. Residents can gift up to one ounce of marijuana to another legal adult aged 21 or older. Additionally, Mass Live publishes that individuals between the ages of 18 and 21 who possess up to two ounces of marijuana will only be charged with a civil offense. Home growing operations with fewer than 12 plants will be cited with a civil offense instead of criminal charges. Individuals who carry prior convictions for possession of marijuana can request to have their records sealed under the current laws as well. Recreational marijuana dispensaries are expected to open by July 1, 2018 after being delayed six months by Governor Baker, Mass Live reports. When retail dispensaries open, there may be as many as 25-50 within the state of Massachusetts. Retail marijuana for recreational use will be taxed heavily, up to nearly 20 percent, Mass.gov publishes. Taxes will include a 6.25 percent sales tax, a state excise tax of 10.75 percent, and a local option of an additional 3 percent that can be set by individual cities and towns. The Cannabis Control Commission oversees Massachusetts marijuana legality, including implementing, regulating, and administering the laws surrounding adult marijuana use. Regardless of the legality of marijuana within the Commonwealth, it is still a controlled substance with a potential for drug dependence and addiction. 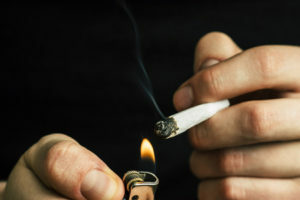 NIDA warns that nearly one-third of individuals who use marijuana likely struggle with addiction to the drug – the risk for which goes up 4-7 times for those who start using pot before the age of 18. 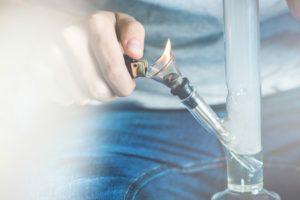 To get help for marijuana addiction in Massachusetts, residents can use the Massachusetts Substance Abuse Helpline, which provides confidential and complimentary phone and web-based treatment resources, referrals, information, and support around the clock. Addiction treatment services in the Commonwealth are overseen by BSAS, which provides licenses to local providers; they also manage treatment protocols and service options. 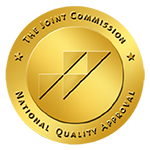 Public addiction treatment is offered through community health centers (CHCs) in a resident’s specific municipality as well as through community-based providers. Public services are open to all residents and generally accept individuals in priority order depending on level of need (both financial and medical). Pregnant women, people with families, and those in significant crisis typically will be offered public treatment services first. For the general public, these public providers often have long waiting lists and specific eligibility requirements. Private providers can often offer immediate assistance and may also have more amenities and treatment options to choose from. The Substance Abuse and Mental Health Administration’s Behavioral Health Treatment Services Locator provides current information on local behavioral health treatment providers that are regulated by the state and open to Massachusetts residents. 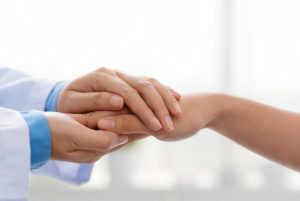 Preventative, treatment, and recovery services are often offered on a local basis by community coalitions and nonprofit organizations as well as through statewide initiatives and federal and state grant-funded programs. The Massachusetts Organization for Addiction Recovery (MOAR) is a statewide organization providing a wide range of resources for individuals battling addiction within the Commonwealth. The Massachusetts Technical Assistance Partnership for Prevention (MassTAPP) provides funding and technical assistance (TA) to local organizations and Massachusetts municipalities supporting drug abuse prevention and educational efforts. Local efforts, such as the Revere CARES Coalition, Drug Free Greater Lowell, and the Boston Public Health Commission (BPHC) Community Prevention Office, strive to improve local neighborhoods and strengthen communities by promoting drug-free environments and offering substance abuse education to the public. Recovery support is offered through organizations like Learn to Cope, which is aimed at supporting families in recovery, and Marijuana Anonymous (MA) in Massachusetts. Individuals may also be eligible for drug diversion programs through one of the 27 adult or three juvenile drug courts in the Commonwealth. These programs help individuals get into a drug addiction treatment program, often in exchange for a lesser or dropped sentence upon completion of the program.